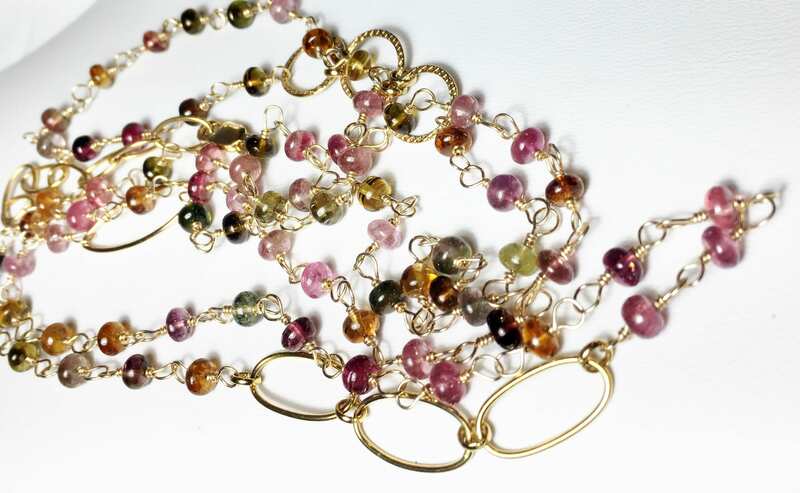 Tourmaline Layering Wrap Necklace, Multi Color Gemstone in Gold Fill, Extra Long ~ Length 38"
~ Individually hand linked smooth Tourmaline gemstone rondelles in the most gorgeous hues. 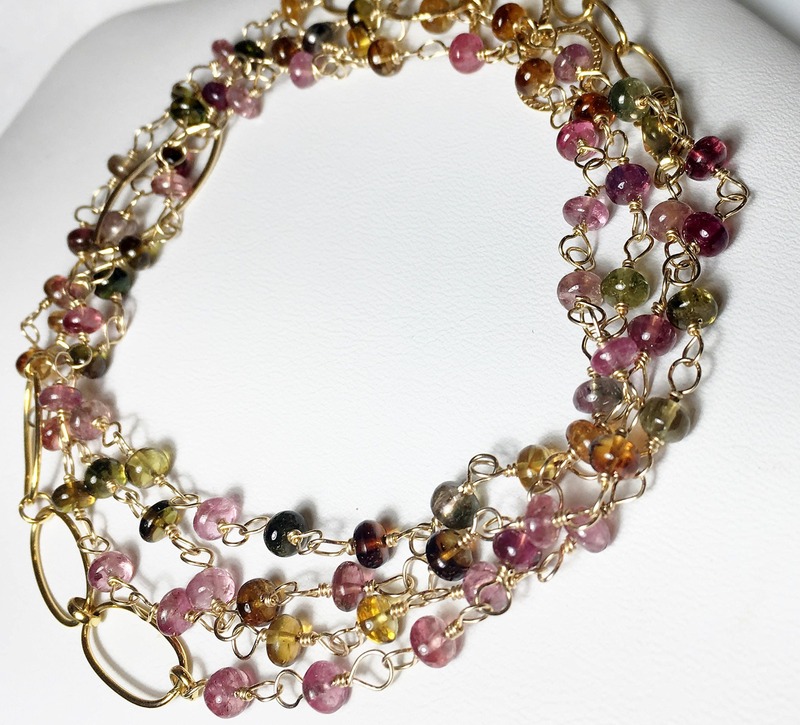 Shades of greens, pinks, and ambers, just to name a few, were used to create this exquisite gemstone chain with gold filled loop connections for accent. 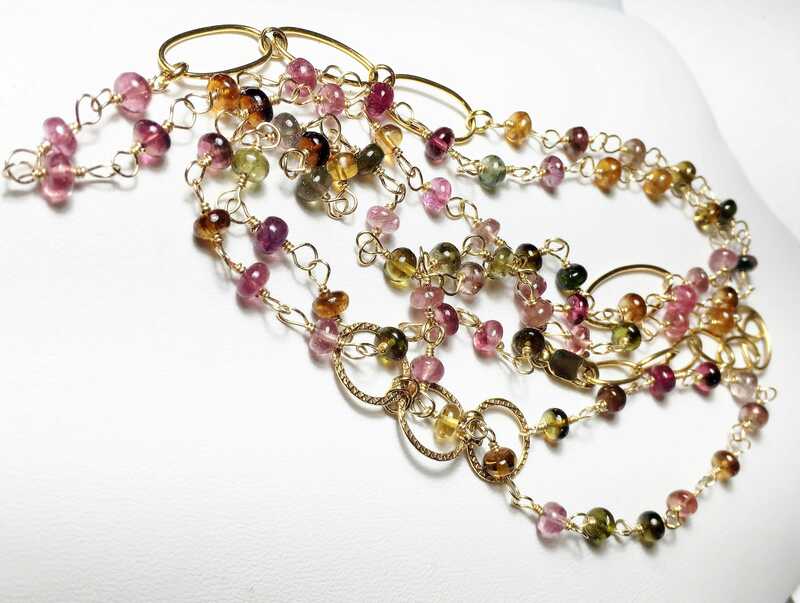 Each stone was hand selected, is "perfectly imperfect", and simply stunning in person. 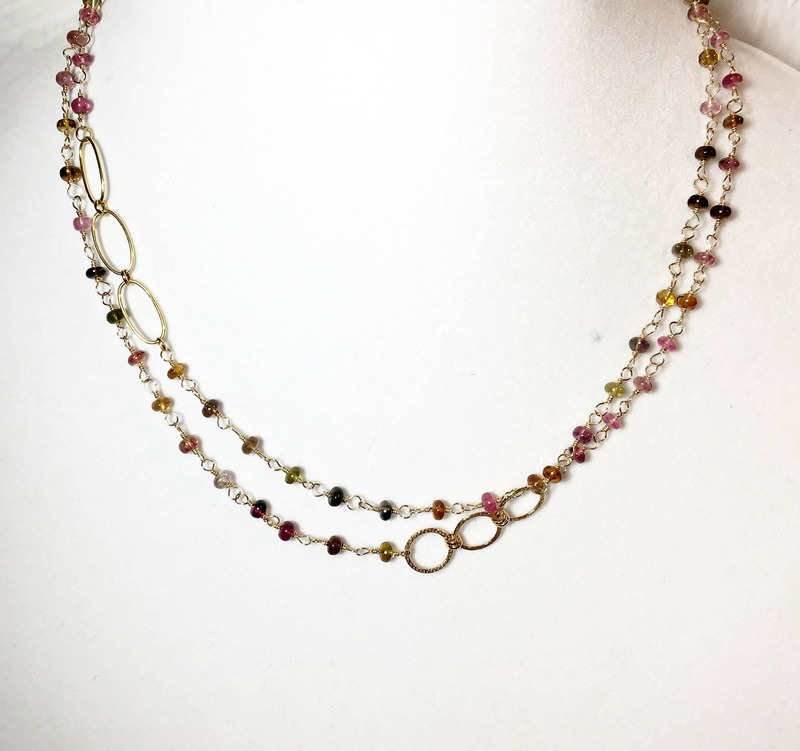 Boasting a total length of 38" this necklace is meant for layering or a multi strand bracelet.